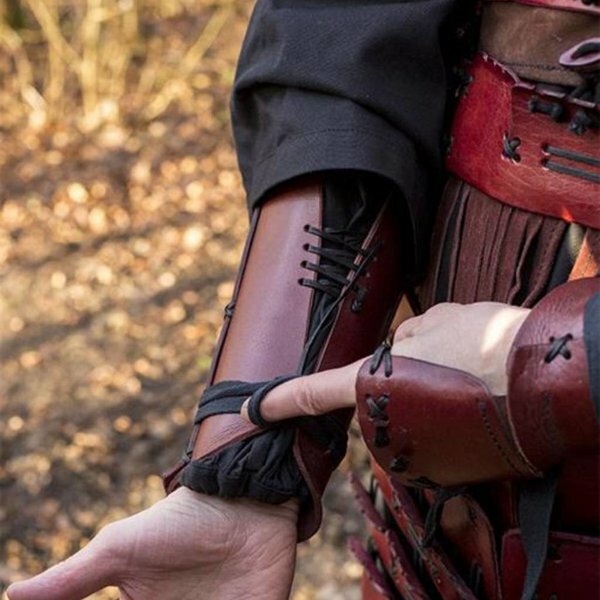 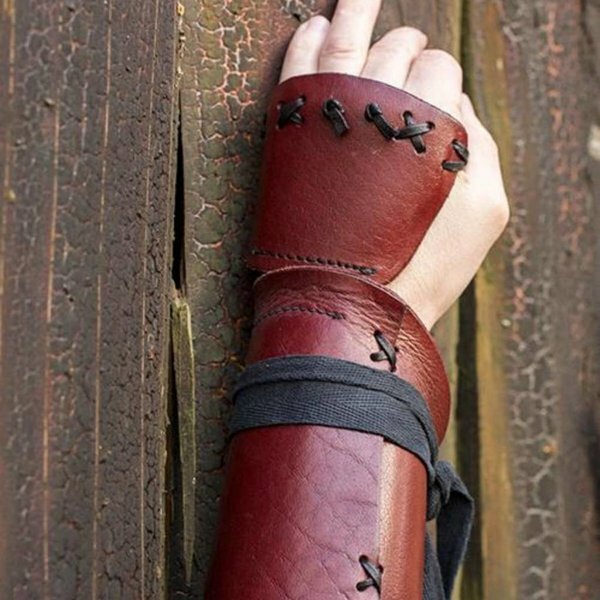 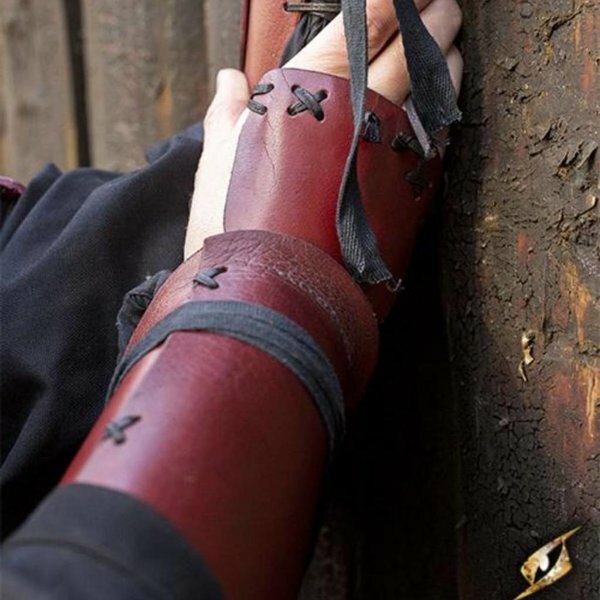 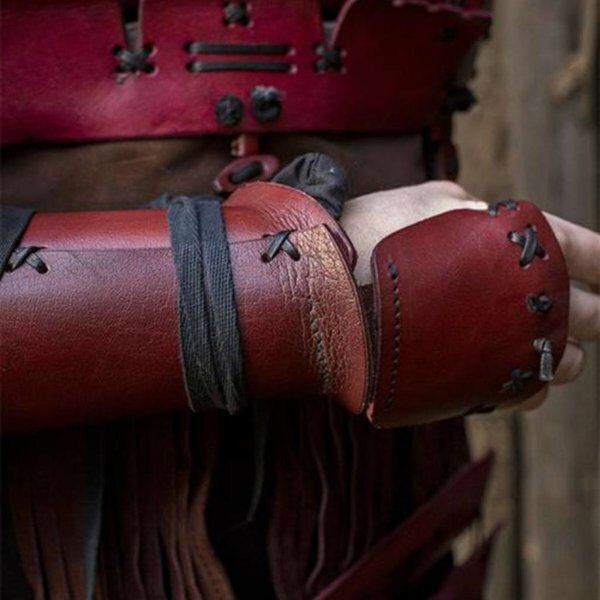 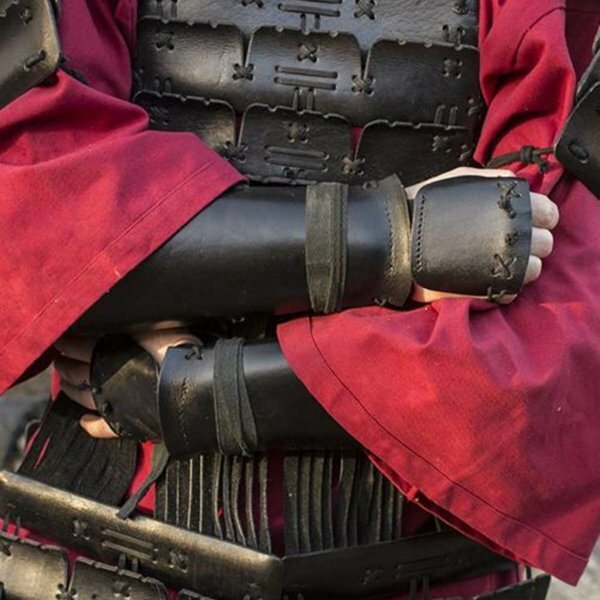 These samurai bracers are made of a high quality leather and can be adjusted to the correct size with a fabric lace. 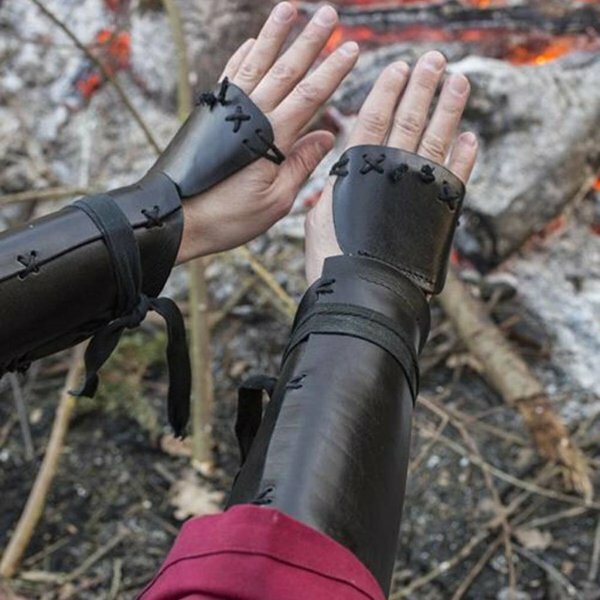 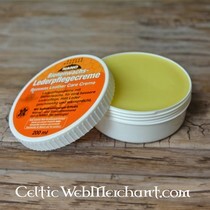 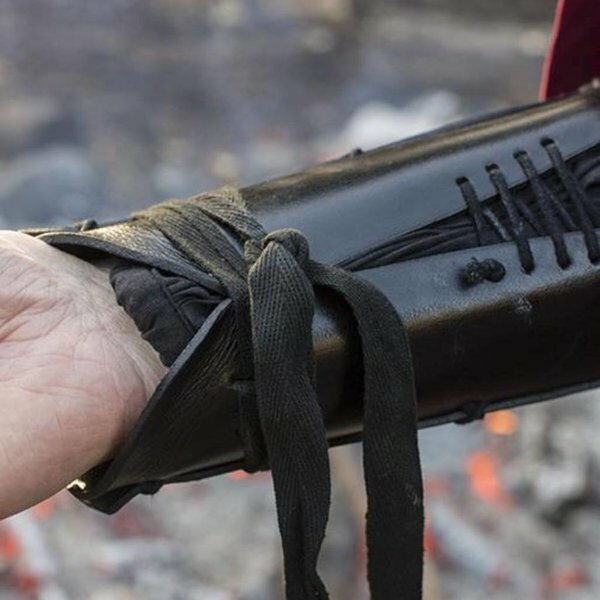 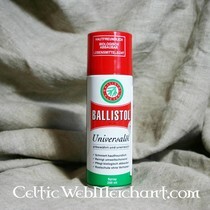 A wonderful addition to any LARP outfit. 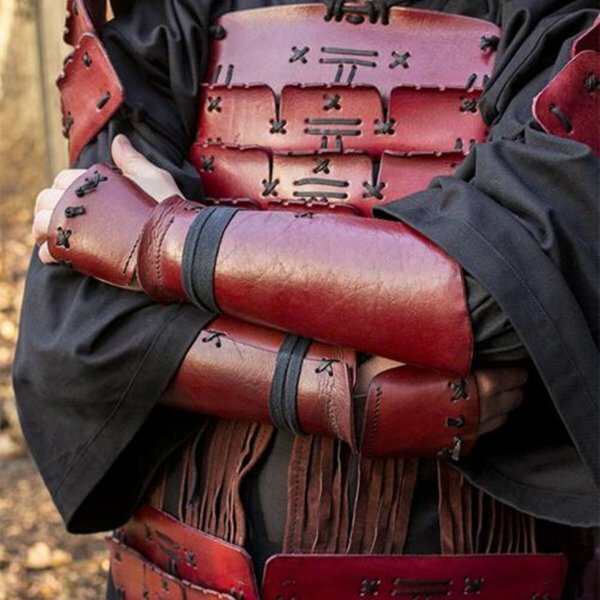 They are based on originals worn by actual Samurai and are available in the colors red and black. 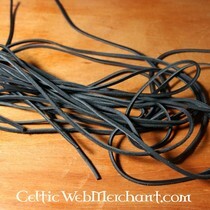 The length without the hand part is 28 cm and with hand part 36 cm.